Strongly elegant. 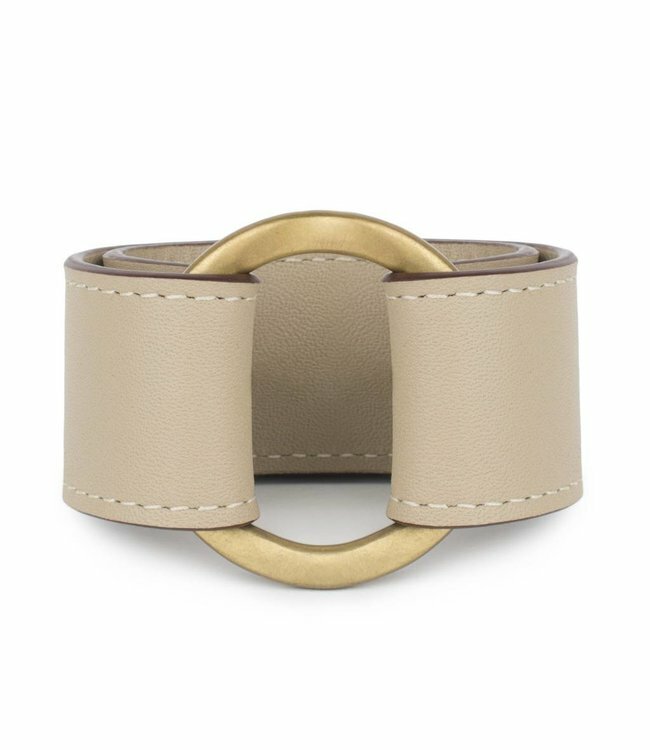 A gorgeous cuff in Napa leather and custom solid brass ring with hand-painted edges and 2 button holes. Adjustable. Adjustable size. Fits 6" and 7" wrist. Dimensions: 11"L from end to end. Ring diameter 1.5"
Materials: Napa leather, solid brass.